“I go out all the time with my family, my friends, my little girl. I don’t to worry about what anyone else is going to think," said 26-year old Dallas Wiens, the nation’s first recipient of a full facial transplant. In 2008, Wiens’ head hit a high-voltage electrical wire in Fort Worth, Texas, leaving him without any facial features. 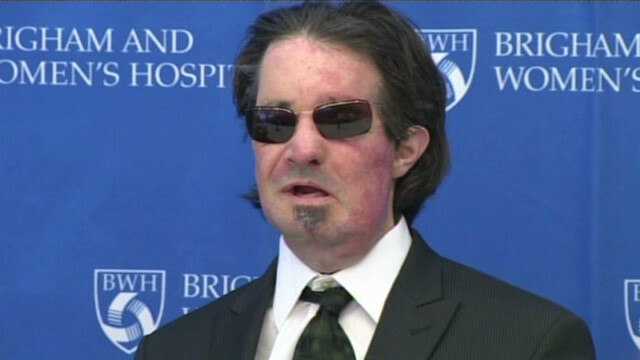 Monday marks the first anniversary of his life-changing facial transplant operation at Boston’s Brigham and Women’s Hospital. Take a look at how Wiens looks now and how he feels about life after surgery. And last month, another transplant recipient, Richard Lee Norris, received a face transplant surgery to heal his gunshot wounds.